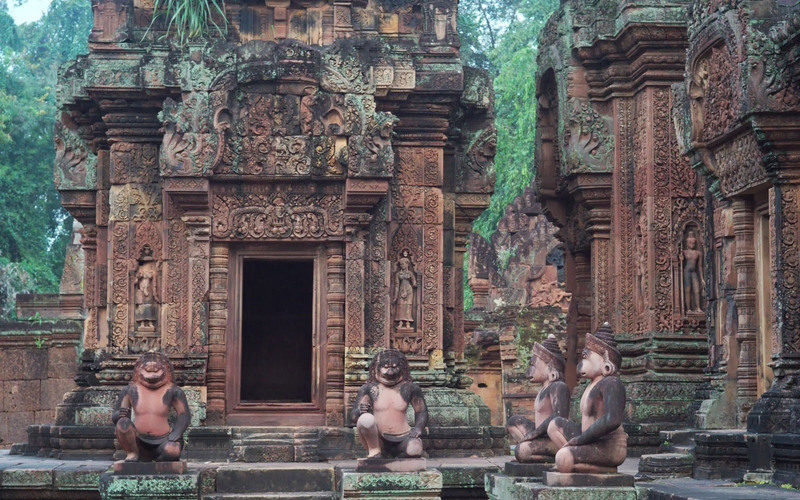 This is a full day excursion to remote Angkor temples (starting in Siem Reap). 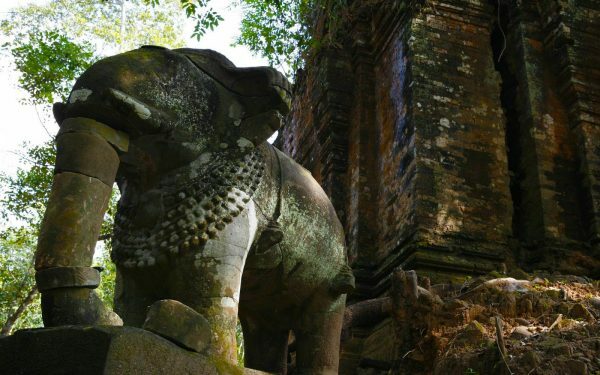 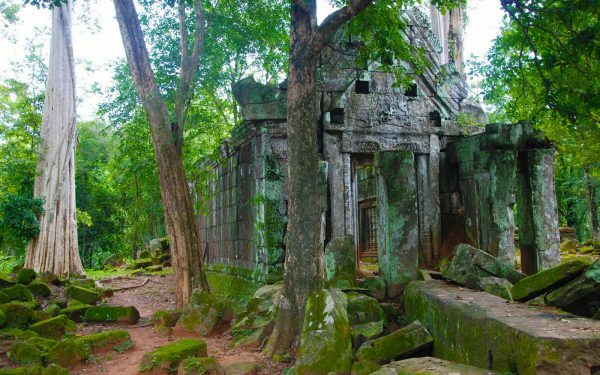 Koh Ker was the Angkor capital from 928 to 944 and is located 90 km away from the main Angkor area near Siem Reap. 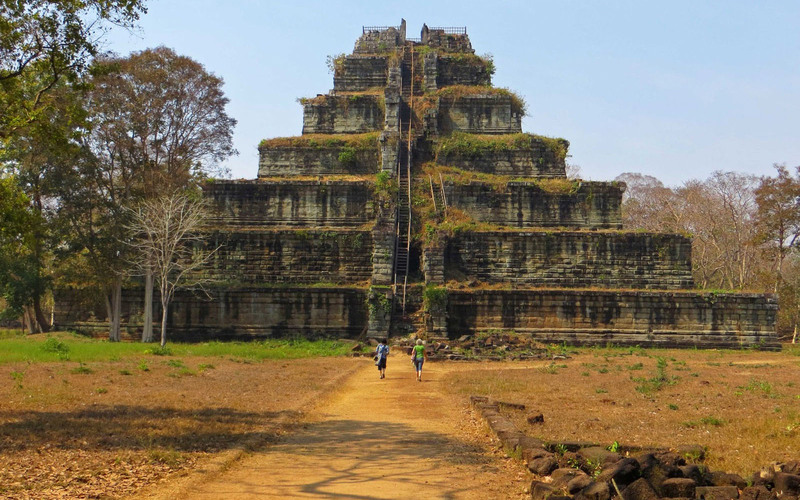 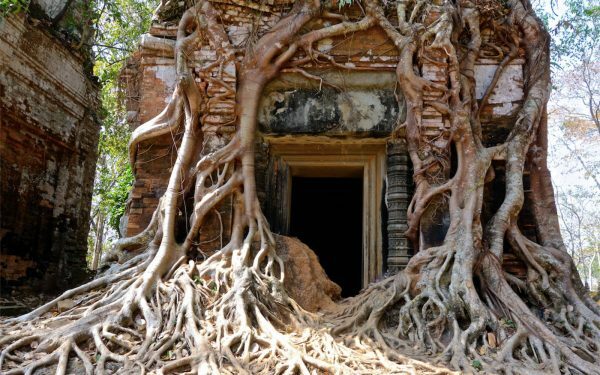 It takes another hour to reach Boeng Mealea, which has the same size as Angkor Wat. 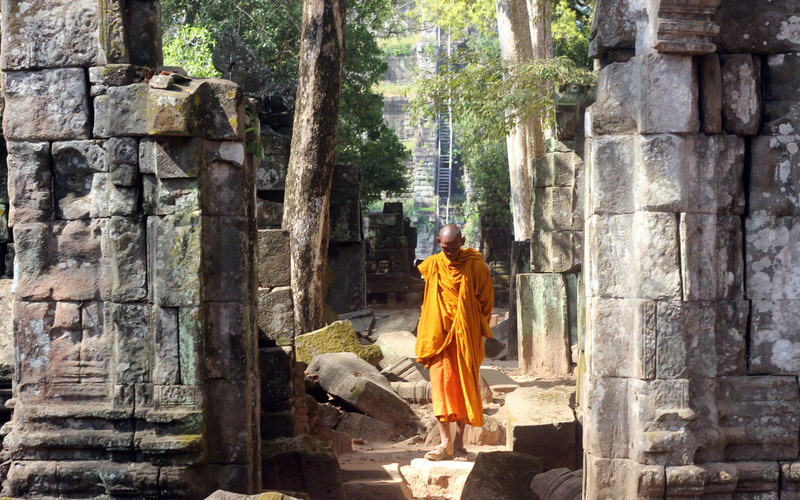 Both temples were built under Suryavarman II (1113-1150). Boeng Mealea – like the famous Ta Prohm temple – has been left in much the same condition in which it was found: trees are growing out of the ruins, the jungle surrounds the whole temple complex.On the way to the temples the visitor is passing several villages and drives through tropical forest areas.